Always have at least one crazy goal in life. Generously share positive energy, even with strangers. Use love as a theme to string up life, not anger nor regret. Apply laughter generously. Appreciate food and the source of food. Health (physical, mental and spiritual) is the most fundamental enabler to a good life. Not money. You deserve a good bed. Listen to Pet Shop Boys. Enjoy the last few days of 2012 and many happy days ahead, everyone! 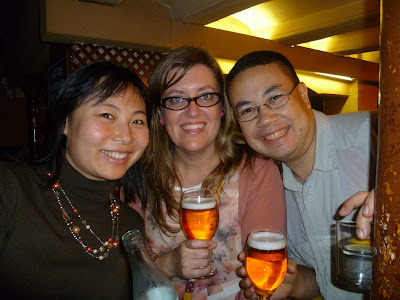 Shu, Sara and Q in Barcelona in Nov 2012. We love you, Sara!